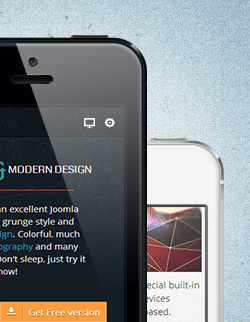 JSN Escape is an excellent Joomla template with grunge style and responsive design. Colorful, much applicable typography and many beautiful stuff. Don't sleep, just try it now! JSN Escape provides unique mechanism of installing sample data on your current website. 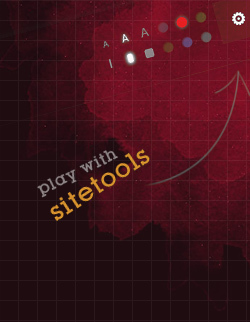 Just few clicks and the demo website is here. JoomlaShine templates can be effortlessly configured by template parameters. There're 40+ parameters arranged into logical groups. JSN Escape has incredibly beautiful clean design with 6 colors variation, 5 menu styles, and more results in a really remarkable website. JSN Escape provides 6 major color variations for your taste. 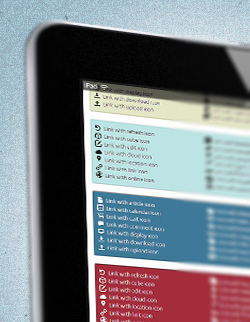 Each color variation covers drop-down menu, links, headings and other elements. 37+ module positions are collapsible and they can arrange modules in horizontal or vertical layout. Rich typography is ready for the most comprehensive content presentation. 6 major color variations which cover not only the main background, but also color of drop-down menu, links, etc. 6 box designs which can be combined with 42 retina display icons for module title styling. Enough of watching? Before you shut the computer down, don't forget to get in touch with us!